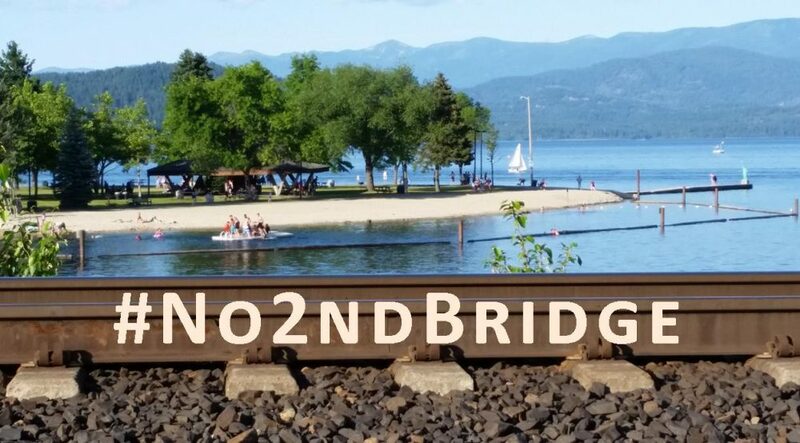 The Wednesday, August 15, 2018 Climate Justice Forum radio program, produced by regional, climate activist collective Wild Idaho Rising Tide, features news and reflections on an appeal of an Idaho permit for Lake Pend Oreille railroad expansion, a Sandpoint corn train spill, a Highway 12 crane accident along the Lochsa River, transfer of oil and gas waste injection well regulation from Idaho to federal agencies, an employment ad for Boise frackers, a federal court decision blocking forced oil and gas leases of Idaho home owners, and other topics. Broadcast for six years on progressive, volunteer, community station KRFP Radio Free Moscow, every Wednesday between 1:30 and 3 pm Pacific time, on-air at 90.3 FM and online, the show describes continent-wide resistance to fossil fuel projects, the root causes of climate change, thanks to the generous, anonymous listener who adopted program host Helen Yost as her KRFP DJ. The Wednesday, August 8, 2018 Climate Justice Forum radio program, produced by regional, climate activist collective Wild Idaho Rising Tide, features a Noam Chomsky interview about Trump administration policies, climate change, nuclear weapons, and human survival, and a video about Bayou Bridge pipeline resistance. 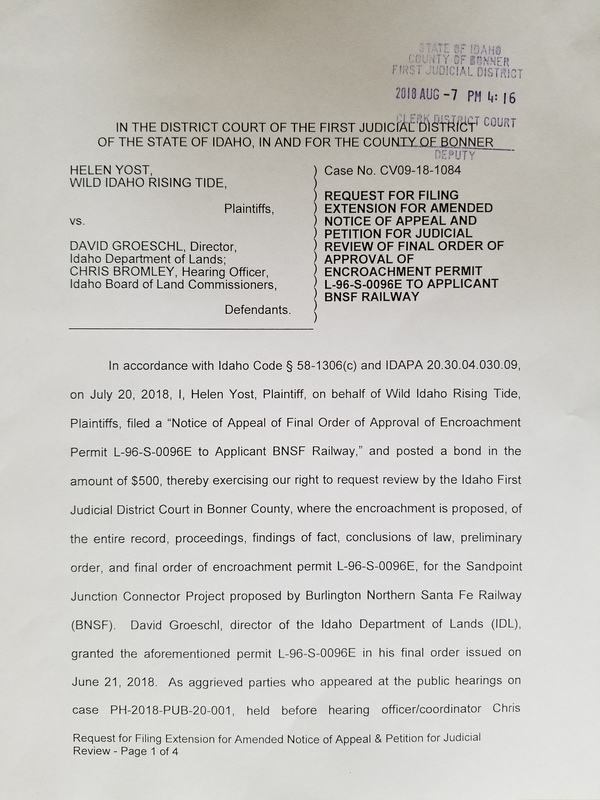 We also share news and reflections on an appeal of an Idaho agency permit for Lake Pend Oreille railroad expansion, a Kalispel tribe water-honoring canoe journey, train rides cajoling Idaho officials and emergency responders, a Montana rail bridge derailment, landfill deposits of oiled vegetation from an Iowa train wreck, transfer of oil and gas waste injection well regulation from Idaho to federal agencies, and a pipeline company lawsuit against direct activists. Broadcast for six years on progressive, volunteer, community station KRFP Radio Free Moscow, every Wednesday between 1:30 and 3 pm Pacific time, on-air at 90.3 FM and online, the show describes continent-wide resistance to fossil fuel projects, the root causes of climate change, thanks to the generous, anonymous listener who adopted program host Helen Yost as her KRFP DJ. The Wednesday, August 1, 2018 Climate Justice Forum radio program, produced by regional, climate activist collective Wild Idaho Rising Tide, features news and reflections on a Payette County oil and gas meeting, transfer of oil and gas waste injection well regulation from Idaho to federal agencies, opening of the Newport silicon smelter permitting process, an appeal of a state permit for Lake Pend Oreille railroad expansion, a Kalispel water-honoring canoe journey, and a Trans-Canada highway for tar sands megaloads. Broadcast for six years on progressive, volunteer, community station KRFP Radio Free Moscow, every Wednesday between 1:30 and 3 pm Pacific time, on-air at 90.3 FM and online, the show describes continent-wide resistance to fossil fuel projects, the root causes of climate change, thanks to the generous, anonymous listener who adopted program host Helen Yost as her KRFP DJ.